The English have a tradition, which many foreigners cannot understand, of sending their young children away to boarding school. This is not something forced on them by concerned social services, which would make some kind of sense, but undertaken entirely voluntarily and at great expense. I wondered what there is in the UK Chart that might reflect this tradition. Of course, the vast majority of parents do not put their children into care (for that is what it amounts to) in this way. So why should the chart show it? Because it is an aspirational tradition: many more parents would do so if they had the money, and the system produces many members, perhaps even the majority, of the British ruling class – yes, we do have one of them, and they are running the government right now. Before I go any further, I want to try and take the politics out of this. Unlike many, I do not assume that the members of the ruling class act in bad faith or that they necessarily make a worse job of running the country than Labour (whose last PM but one, Tony Blair, went to public school, unlike his Tory predecessor John Major: the lines are increasingly blurred these days.) Personally, I have no allegiance to any of the parties. All the same, the toffs are back running the country in a way that we haven’t seen for a long time: the class structure is hardening again, and it is becoming more difficult generally for working class people to rise. The acting profession, for example, is increasingly public school. And the boarding system is thriving. For my non-English readers, public school means private school. Schools that are genuinely for the public are called state schools. I thought I’d start my astrological exploration with my own chart, having been sent away aged 8. And at that point I was at the end of a transiting square from Pluto to my natal Moon. The death (Pluto) of childhood (the Moon). Of course, I would have had Pluto squaring my Moon (and conjoining my Asc) for some years before that, so it was all one long traumatic process, but I won’t burden you with that right now! I have natal Moon conjunct Saturn, so Pluto went on to square natal Saturn: the demolition (Pluto) of the structure (Saturn) of my life, and the premature entrance of Saturn as worldly taskmaster. Moon-Saturn itself often describes an undernourished childhood burdened by responsibilities. 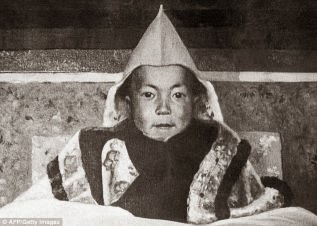 We see the opposition of Moon and Saturn in the chart of the Dalai Lama, who was sent off to the monks at a very young age. He seems to have emerged relatively unscathed, probably because the monks were a better deal than schoolteachers; but all the same, it is there in his chart, and he was taken away from his mother when very young. 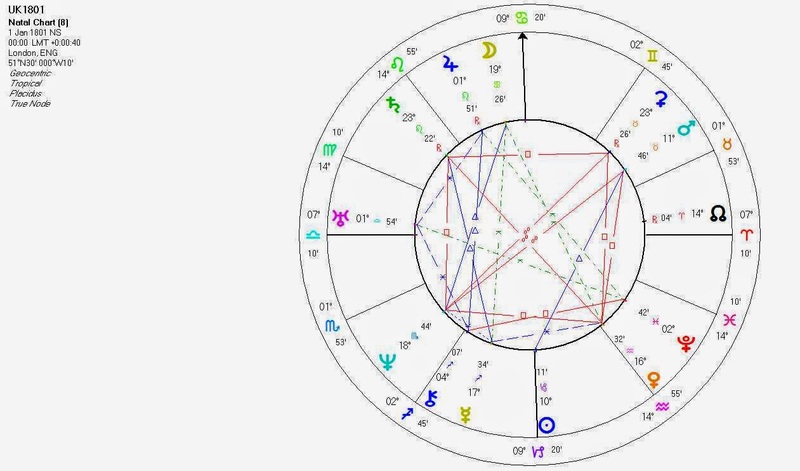 And if we look at the UK 1801 chart, we see Pluto in the 5th House of children. 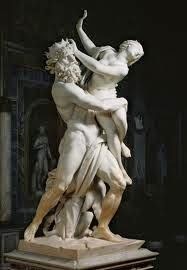 Mythologically, Pluto abducted the young Persephone and took her to his Underworld, from which she eventually emerged as a woman. And in the UK Chart we see Ceres, Persephone’s mother, in Pluto’s House, the 8th, symbolising her suffering at her daughter’s abduction, as well as quite literally the ‘House’ in which her daughter (unbeknownst to her) was to be found. Pluto has the function of moving us on to the next stage of life, and the way he does it is firstly by dismembering the old stage. This can be painful because we can be very attached to the old way, it may be our identity, and we may not realise that it is time to move on. All these themes are in the Persephone story. But crucially it was time for her to move on, even though it was difficult for her mother. And in the case of boarding schools we see the abduction and the re-emergence 10 years later of 18 year olds who will, by and large, have the wherewithal and connections to be successful and prominent in the world. But if they were 8 years old or so when they first went, then they were abducted by Pluto prematurely: in my own case, this is described by the transiting square from Pluto to my Moon, rather than say a trine or sextile. What makes the issue more complex is that, unlike Ceres, your parents co-operate in your abduction, saying it's for your own good, it's a 'privilege'. 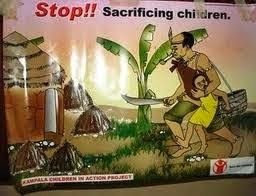 Where does that leave the child? I won't try and unravel that one here. And here’s the thing (as they say): in sending their 8 year olds away to school (where their relations with adults will be professional rather than personal), childhood needs are being sacrificed to worldly advancement. This is Pluto in the 5th of the UK Chart: the sacrifice (Pluto) of children (the 5th). It can also be seen in the opposition between the Sun and Moon in Capricorn and Cancer respectively. 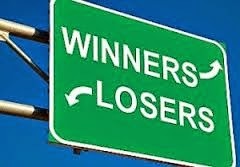 For it is also a Capricorn-Cancer issue: the need to enter the world (Capricorn) versus the needs of childhood (Cancer). The Sun is also in the Moon’s natural House (the 4th) and the Moon is in Saturn’s natural House, and Saturn rules the UK Sun. So the Cancer-Capricorn axis is complex, as well as very central, to the UK character. The issue is further reflected in the t-square from Ceres, the nurturing mother, to Saturn, ruler of Capricorn, to 5th House Venus. Which also says a lot about the place of mothers in that system, and their constrained relationship to their children. If you are sent away to school very young, then you have to shut off from your feelings and attachments. The natural bonding process is broken, and it can come out later in relationship difficulties. And you have to shut off from your emerging soul (if you have one, and I know many people who seem relatively unconflicted about the whole business): your raison d’etre is to become someone who will succeed and win in the world. That is the only thing that matters in this system, whatever they say, because why else would the parents spend all that money? So a personality is constructed that is emotionally shut down, that sees the Cancerian end of life as ‘wet’, and that is driven to win and succeed as a means of validating itself. This sort of personality – Capricorn at the expense of Cancer - is instantly recognisable to anyone who has not been through the system. 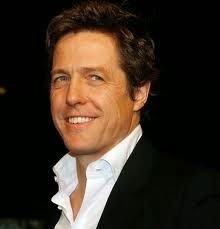 It is the archetypal Englishman, Hugh Grant or Boris Johnson or Stephen Fry. Ideally suited to running the country’s institutions (the media now being one of them) and in earlier times, the Empire. Superior, capable, urbane and charming, people that many of us love to admire, but with messy personal lives, compulsively driven from one woman to the next – or, in Fry’s case, from one suicide attempt to the next. And probably with secret sides to themselves that occasionally emerge as scandals, the strange fruit of all that had to be sacrificed when they were younger to make them the splendid chaps they now are. So this is what we do to our children (some of us at least, but I’m sure it must reflect a national characteristic, or there would be protest: but no, we are strangely mute on the subject.) Somewhere, I think we idealise the breaking of the natural bond between child and parent, we see it as a good thing to do in the interests of the child’s worldly advancement. This idealisation is only possible through a separation from feeling, and here we are on classic Uranus territory. And it is expressed in the chart in the square from the Capricorn Sun to Uranus rising. Uranus here has the effect of splitting the Sun off from its inner Cancerian opposite, enabling it to act in the heartless way it does. An American Indian friend suggested to me the idea of the idealising of the breaking of the ability to bond, given that children here are sent away voluntarily. She has had a lot to do with young Indians who were forcibly sent away to school, and sees them come back angry and not knowing it, and unable to bond and not knowing it. Here, if you can bear to watch it, is a 1994 documentary in 5 parts about the practice of sending young children to boarding schools. http://www.youtube.com/watch?v=aatIB-yc7nQ The film does not have an angle to push, it lets both sides speak for themselves – ironically, it is those who speak in favour of the system who unwittingly damn it with the unbelievable things they say. Like the guy who is now sending his young children away, talking about a friend of his who had regularly to be sedated to get him back to school. 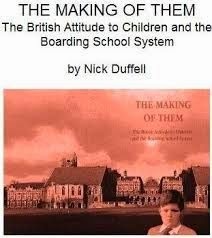 There is also a book of the same title, The Making of Them by Nick Duffell, which I recommend. The documentary came out in 1994, during the Uranus-Neptune conjunction in Capricorn, opposite the UK Cancer Moon. Now there is some symbolism! And the next year Philip Pullman's Northern Lights was published. In this story people's souls take the form of animal familiars, or daemons, which are always around them. And it turns out that a group of children have been kidnapped and taken to the Arctic where they are being forcibly separated from their daemons. A parable of boarding schools, or what? From Philip Pullman's Wikipedia entry, it seems he may have been sent to boarding school (his father having died) and he has a Saturn-Pluto conjunction in Leo which may be conjunct the Moon. In both the documentary and the Pullman book, Uranus-Neptune can be seen as addressing the issue of children being separated (Uranus) from their souls (Neptune), and the conjunction itself being a cultural energy that can heal the divide. Part of the answer to your question about why UK does private education so much lies in the Norman tradition - our Establishment continues very much in the Norman tradition, which was a foreign overlay elite whose proimary aim was to own Britain and harvest from it all the money and power they could - and it continues today, nearly a millennium later! Compare with, say, Germany, where the overlords were largely indigenous (and the ancient Germanic equality tradition applies too), and even the aristocracy was quite decentralised. In my case, I have Moon square Saturn - and very educational, sixth to ninth, Gemini to Virgo - and I wanted, at age 11, to go to the Merchant Taylors school rather than a grotty grammar school in Liverpool but could not (my parents couldn't afford it). This is the opposite syndrome of yours. I felt very miseducated, and the outcome was that the areas of knowledge I have become known for in my lifetime lie outside the educational and conventional sphere - my true education began once I left university (LSE - I passed the Oxford entrance exam but chose LSE because I believed at the time they'd teach me truth! Instead, I was recruited for the intel services and then dropped out when I discovered what it truly involved, while Ura and Plu were conjuncting my ninth-house Saturn - and my interest in astrology started then, around 1970). We're seeing the connection between Capricorn and status playing itself out nowadays - and it started in its current exaggerated form when Uranus and Neptune went through Capricorn. That's one reason Russian and Arabic billionaires like UK - it validates their sense of superiority and covers over the illegitimacy of their status, not least because many of Britain's elite are descended from pirates, slavers and opportunists of former times. 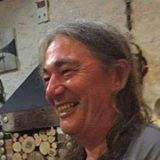 Dear Barry, Palden and friends, Greece is a Capricorn country too (although the majority of the Greek astrologers wrongly believes it is an Aquarian one - you may read my relative article here: http://astro.getforum.org/modern-greece-s-natal-chart-t466.html). In Greece's case though the Sun in Capricorn played another kind of game. An overgrown public sector has been created in my country with more than a redundant number of civil servants. So, we encounter again in Greece's case the Cancer / Capricorn axis manifested in a different way: the Greeks perceive their own State as a sort of "mother" that should be constantly feeding them up till the day they die (the famous permanent/life long position they hold in the Greek Civil Service)! Lots of food for thought here. Just finished Hilary Mantel's Bring Up the Bodies and Wolf Hall, and was struck that the Kings and Queens of England didn't really raise their own children due to royal responsibilities I assume, not to mention the need for their children to be used to cement political alliances, etc. I guess it sort of came to be seen as a status symbol to have your child schooled away from you. 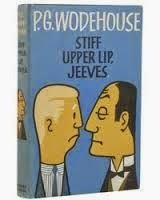 Oh, and great that you mentioned Pullman, love his books. Was a little disappointed by the last in that series where the teenage protagonists appear to disown their sexuality for an unknown and dubious benefit. You have written and spoken many times of the ‘square peg in a round hole’ desperate times you endured as a child in the public school system. Your pain is palpable. I remember talking to you about it. I agree with you, I think it’s utterly barbaric sending your child away from its mother, its home. You may think that as I have sun and moon in Capricorn I might have the opposite view. Had I been separated from my mother and sent away to school I would have died. I have no doubt. I couldn’t cope with a two week school exchange trip to France (although in retrospect it changed my life). My mother died two years ago (as you predicted) and I felt I would never be the same again without her close by and I am 57! Conversely, my brother, born only hours after you, always said he’d have loved to have gone away to school – he felt like a square peg in a round hole at home poor child! 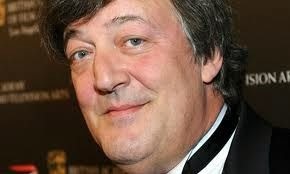 How utterly dull he found us. Capricorn, Taurus and Cancer. One thing I do know is (and you have disagreed with me on this) is that your education shines through everything you write. My brother is every bit as intelligent as you but his lack of education (and mine) shows in everything we say and do. 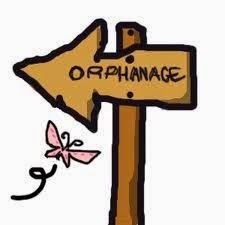 I would never send a child away from home - unless the child really wanted to go. I worked in The City of London in a major financial institution in the days when it seemed 90% of the men (women weren’t allowed to work in the City Institutions until the mid-seventies remember, I was a pioneer) were from public school backgrounds. A lot of them were happy, secure and grounded. Some were badly damaged. Isn’t this much the same as everywhere else? Can you imagine the horror of being conscripted into the army? I went to a Catholic Convent school in the sixties and seventies. I have heard and read constantly about what a nightmare these places were. The school I was at was marred not by the nuns who were sweet and kind, nor the teachers who tried so hard but the pupils (and their parents) who were more Grange Hill than Eton. It IS an odd system and I don’t condone it in any way but finding your place in the world is haphazard and in the main parents do what they think and hope is for the best – even English parents! Despite all your childhood traumas you are an amazing man who has been lucky to have found his niche in life despite, or perhaps because you have felt like a fish out of water at school and maybe within your own family like my brother (?) I am addicted to your blog. You enrich my life beyond measure, I have learnt SO much from you. 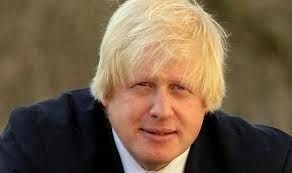 I wish you were running the country – but then people would only say ‘it’s because he had a privileged background’! Excellent as ever. Just to add fuel to your though on how the English ought to be emotional... Voltaire visited here in the 18th century and he describes the English as passionate and emotional. Nice post. But I think day boarding is not like sacrificing children, it's a way to teach children how to be self dependent.